AR4OMNISALES will combine the opportunities offered by on- and offline shopping experiences with the ultimate goal of boosting costumer engagement and shortening in-store decision making. The retail scene is changing at increasing speed - not only for traditional brick-and-mortar stores, but also for online ones. In order to differentiate themselves from their competitors, retailers need to stay one step ahead in terms of the shopping experience they offer their customers and the availability and customisation of their products. To help retailers grab the opportunities and benefits generated by the growing interest in new technologies and experiences, ET Digital is launching AR4OMNISALES, an innovation activity forming part of the organisation's Digital Industry Action Line. This will combine the opportunities offered by on- and offline shopping experiences with the ultimate goal of boosting costumer engagement and shortening in-store decision making. 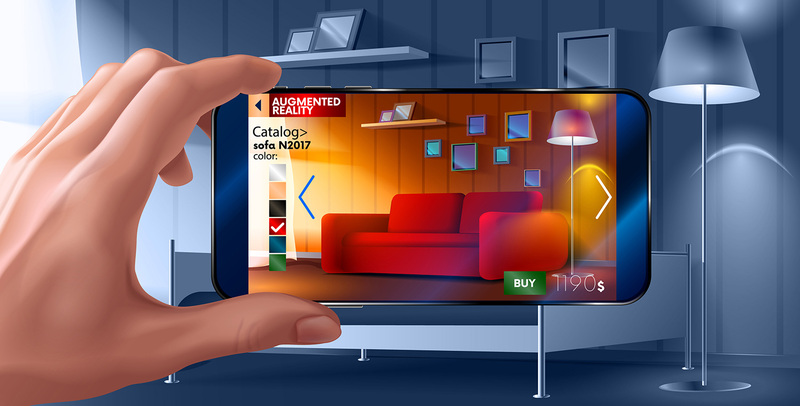 "Augmented reality and machine vision are powerful and innovative technologies that, especially when combined, can give retailers a completely new way to engage customers. They can enable omnichannel presence and optimise the entire purchase process," says Jorma Palo, COO and partner at VividWorks. EIT Digital's partners VividWorks and Télécom-SudParis, with support from VTT and PICOM, have taken the lead in developing this new approach. The aim is to bring new experiences to consumers when they visit retailers, for example by enabling recognition of individual products and product variants via machine vision technology. This will let people physically experience a product and continue the experience online, in-store or at home. Augmented reality and machine vision technologies have matured from proof-of-concepts into technologies that are ready for commercial use: the augmented reality market is forecast to hit $120 billion by 2020 (Touchstone Research). Open standards are emerging and enabling the creation of a technological and economic ecosystem built on sustainable business models. End-users are becoming technology-ready: with a virtual product app, 86% of customers would increase their likelihood of making a purchase. Retailer trials are scheduled to take place by the end of the year and the solution will be officially launched in the first quarter of 2019.